The 2018 Volvo XC40 presents an exciting package in the compact luxury SUV segment, and is expected to be priced at around Rs. 42 lac. The 2018 Volvo XC40 SUV is now up for pre-bookings, and sales will commence from July 4. 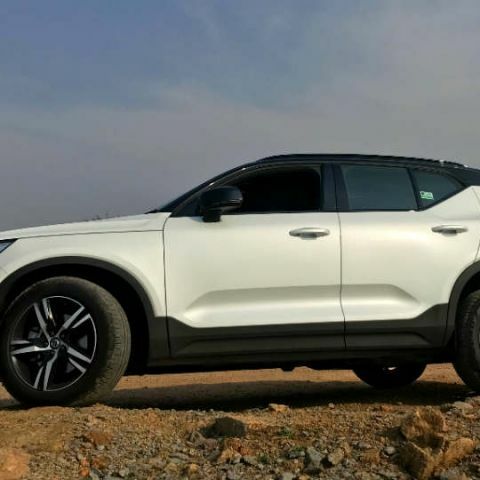 This is Volvo's first entry into the compact luxury SUV segment, and the new XC40 will rival the BMW X1, Audi Q3 and Mercedes-Benz GLA once it launches in the country. We drove it a few days back and hailed it for its impressive technology package, a comprehensive set of features, solid powertrain and a nice overall package. Now, bookings for its first 200 units are open at pre-booking price of Rs. 5,00,000. The 2018 Volvo XC40 SUV is powered by a 2-litre D4 diesel engine that produces 190bhp and 400Nm torque. This is mated with an all-wheel-drive setup and an 8-speed automatic gearbox. Unlike the Volvo XC60 midsize luxury SUV, the XC40 gets only spring suspension with non-adaptive dampers. Inside, the upholstery is a combination of leather, soft-touch plastics and a new faux wool material on the door panels and the floor carpet, to lend a touch of added luxury. The XC40 also houses Volvo's 9-inch Sensus infotainment system with Apple CarPlay and Android Auto, and is the first car in its segment to get semi-autonomous driving aids like lane-keeping assistance, adaptive cruise control, handsfree parking and driver attention alert. The XC40 will also be offered in only the range-topping R-Design variant, keeping Volvo's one-car one-variant philosophy intact in India. The XC40 has already won the European Car of the Year award, and has raked up a large number of preorders in international markets. In India, the company will be hoping to do the same. add 7 and -4 on the number line . why am i unable to open november issue dvd?